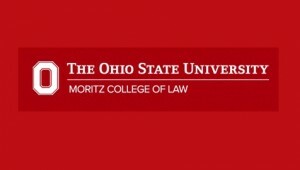 Moritz College of Law at The Ohio State University will host the Second Annual Administrative Law New Scholarship Roundtable June 27-28, 2017. The Roundtable will bring together a mix of emerging and established scholars to present new work on Administrative Law. Participants will present their papers in small panel sessions designed to foster rich discussions with experts in the field and contribute to a vibrant Administrative Law community. Deadline: Scholars wishing to participate in the Roundtable and present a paper must submit a one-to-two-page abstract by Friday, March 17, 2017. Applicants should include their title, institutional affiliation, and number of years teaching in the academy. Preference will be given to those who have been teaching nine years or less in a tenure-track position. Abstracts should be sent to Chris Walker at walker.1432[@]osu.edu. You may also contact Chris Walker or Peter Shane (shane.29[@]osu.edu) with any questions you may have about the Roundtable.